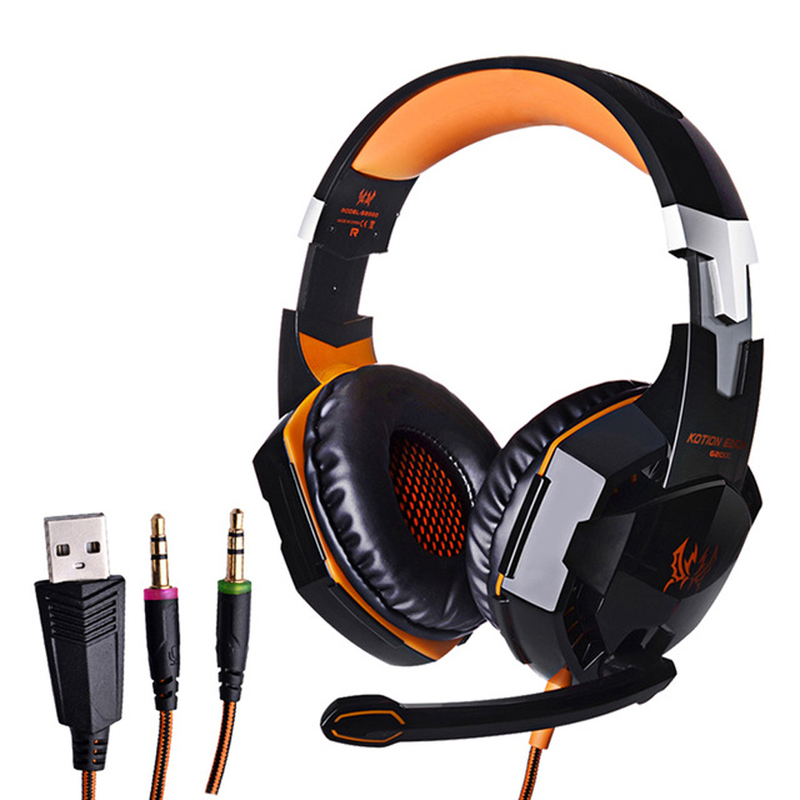 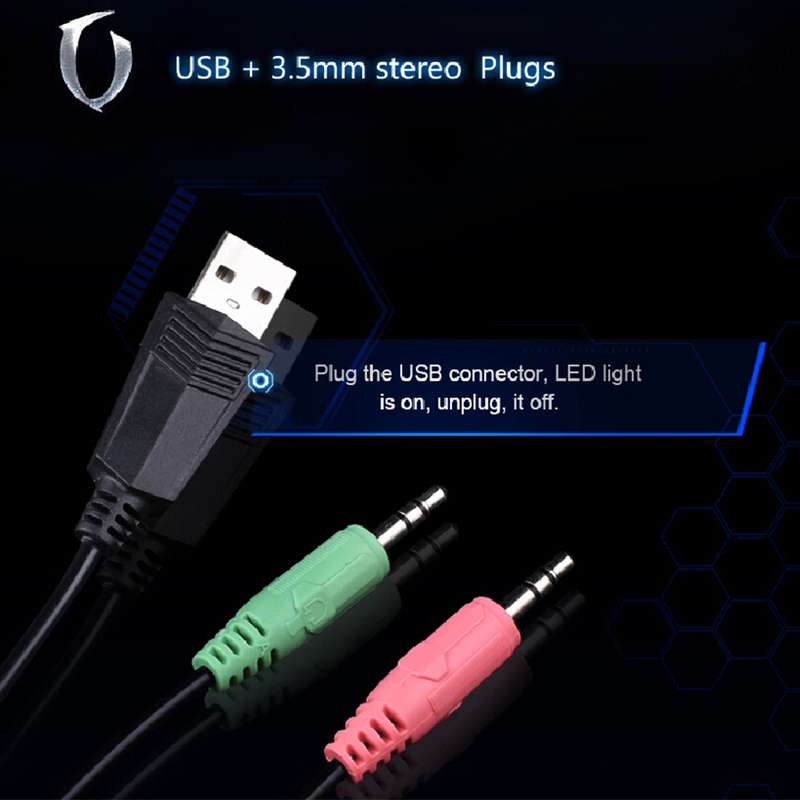 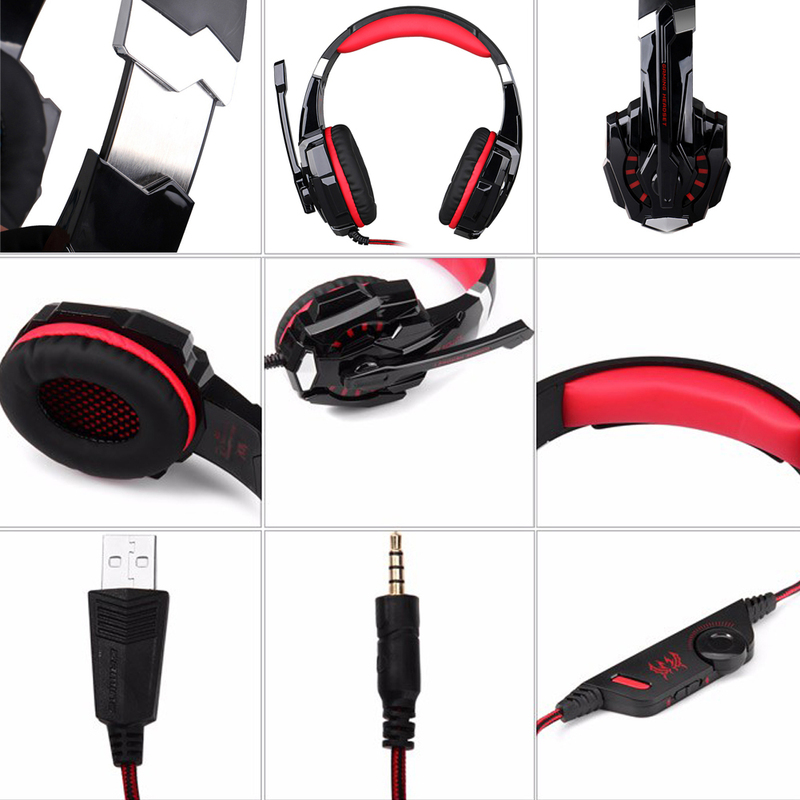 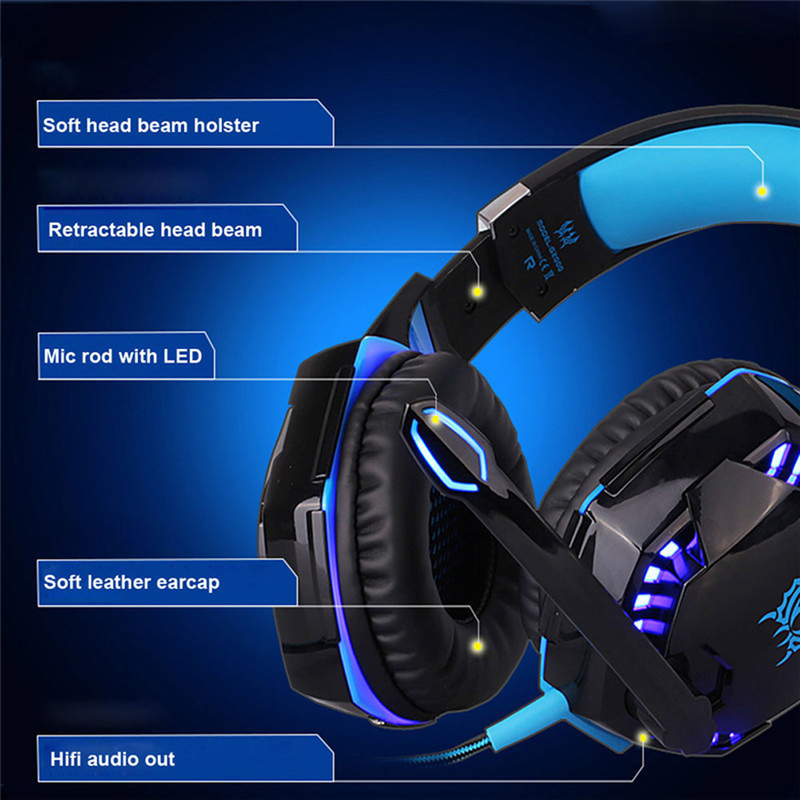 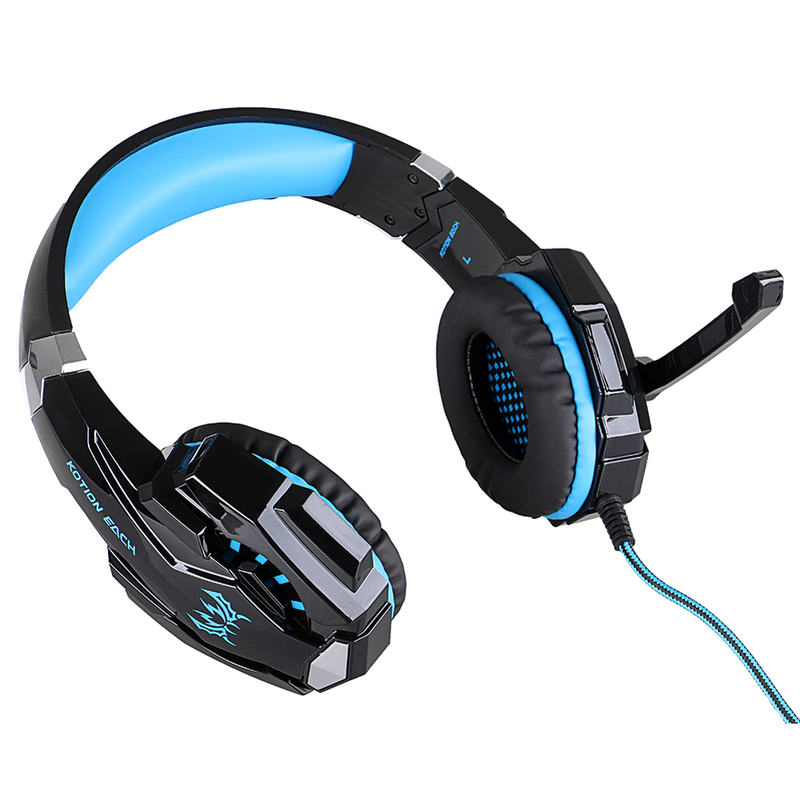 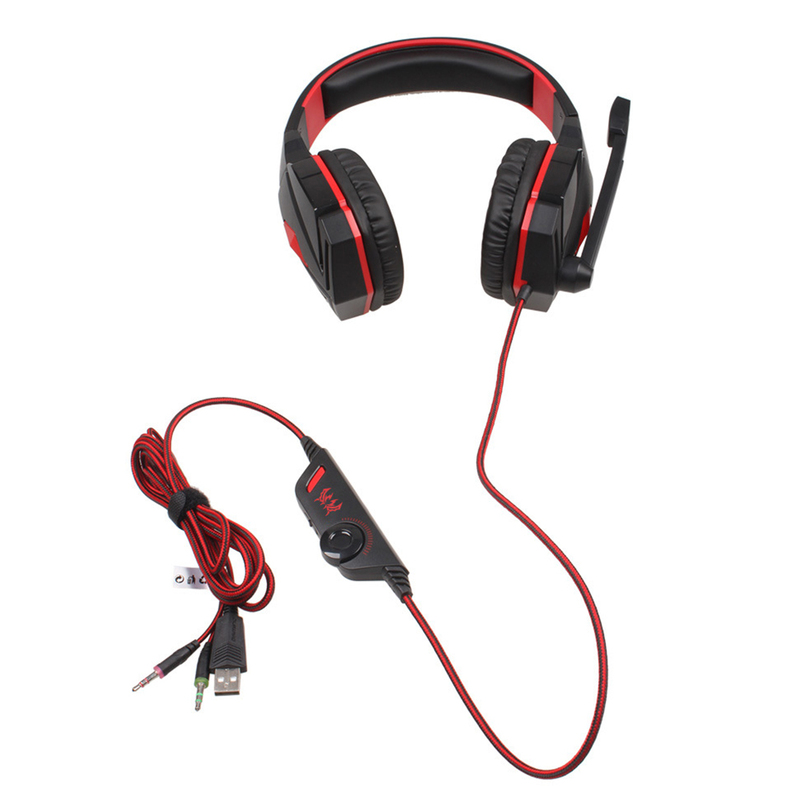 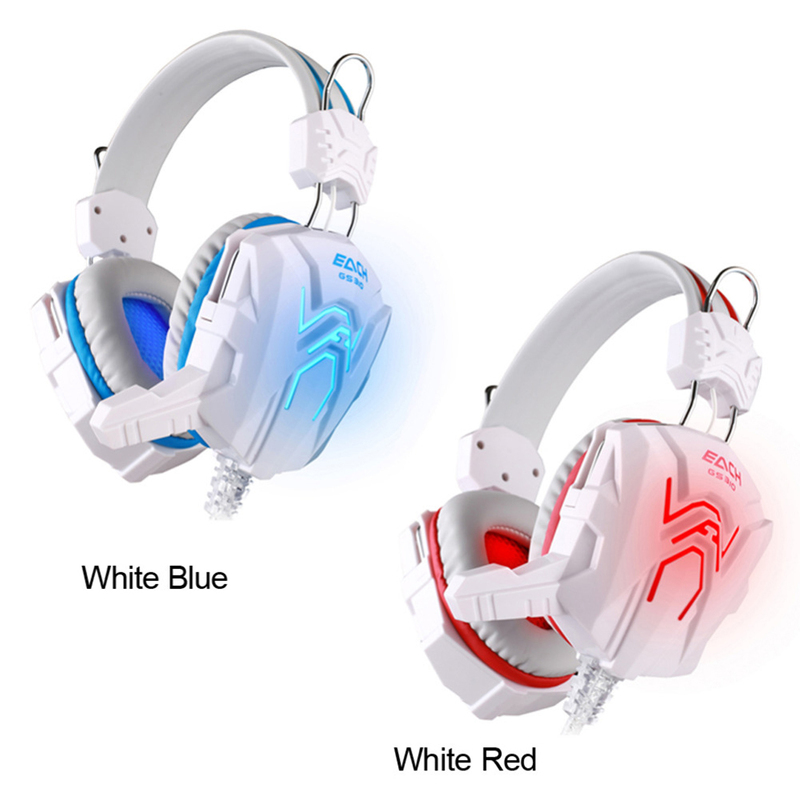 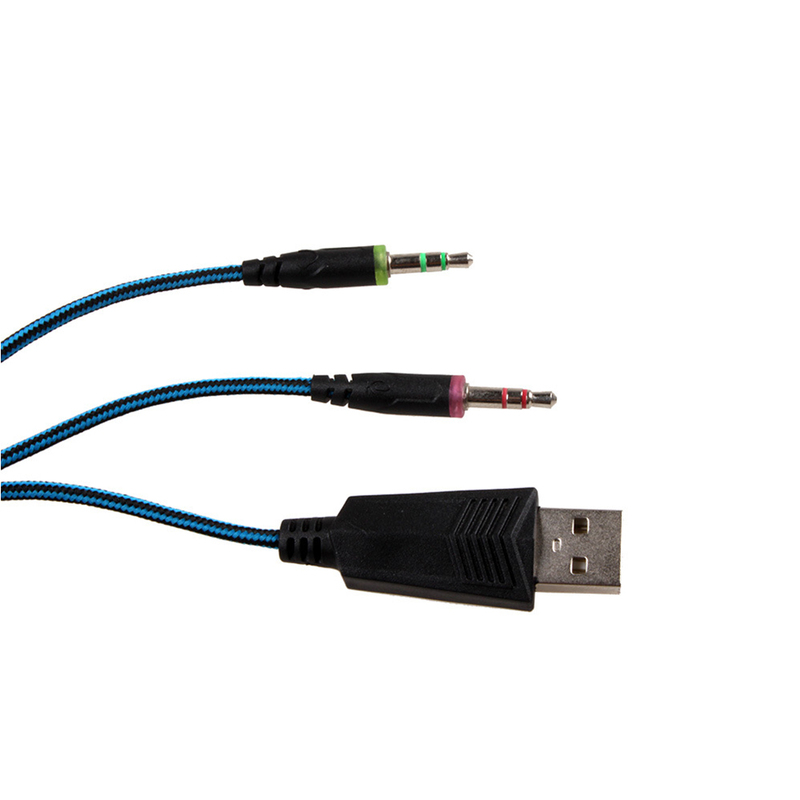 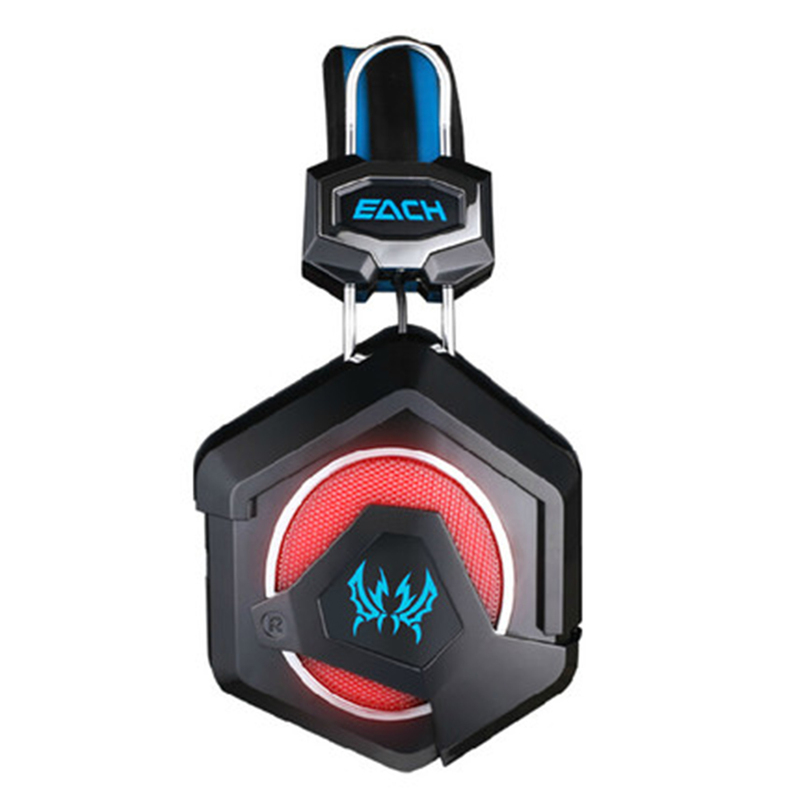 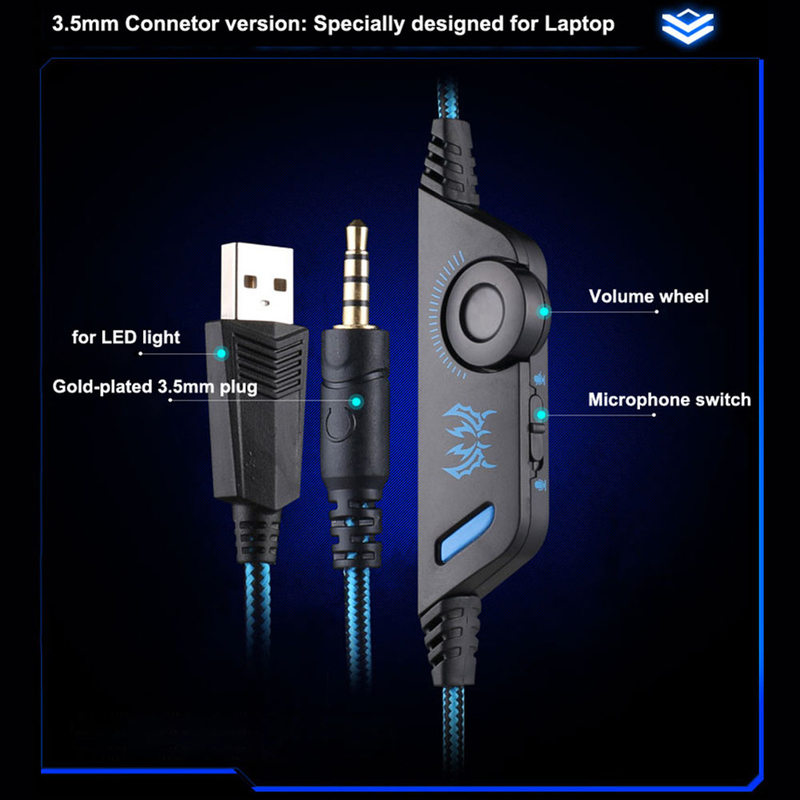 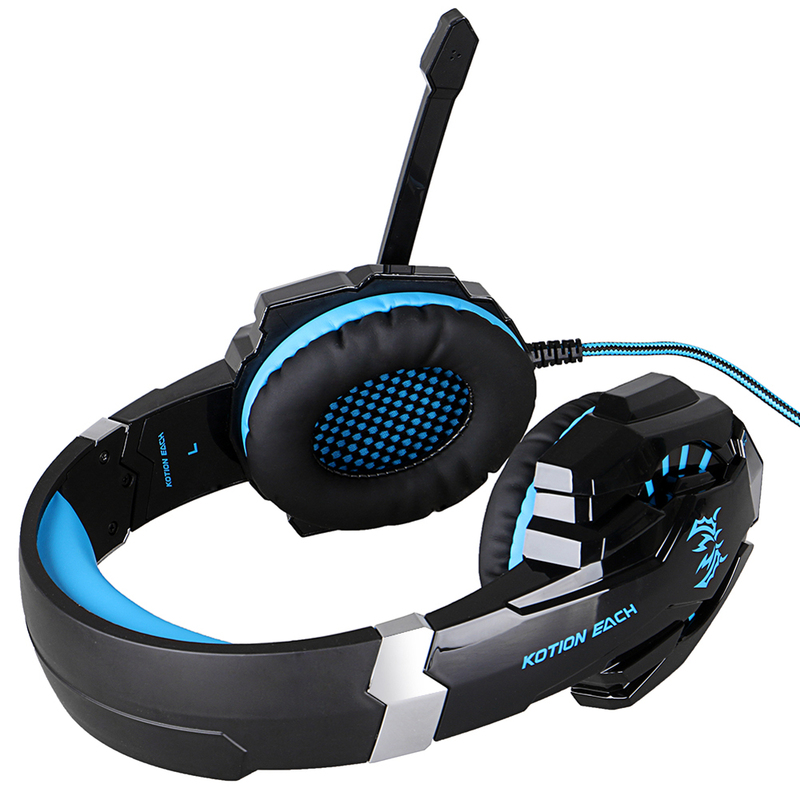 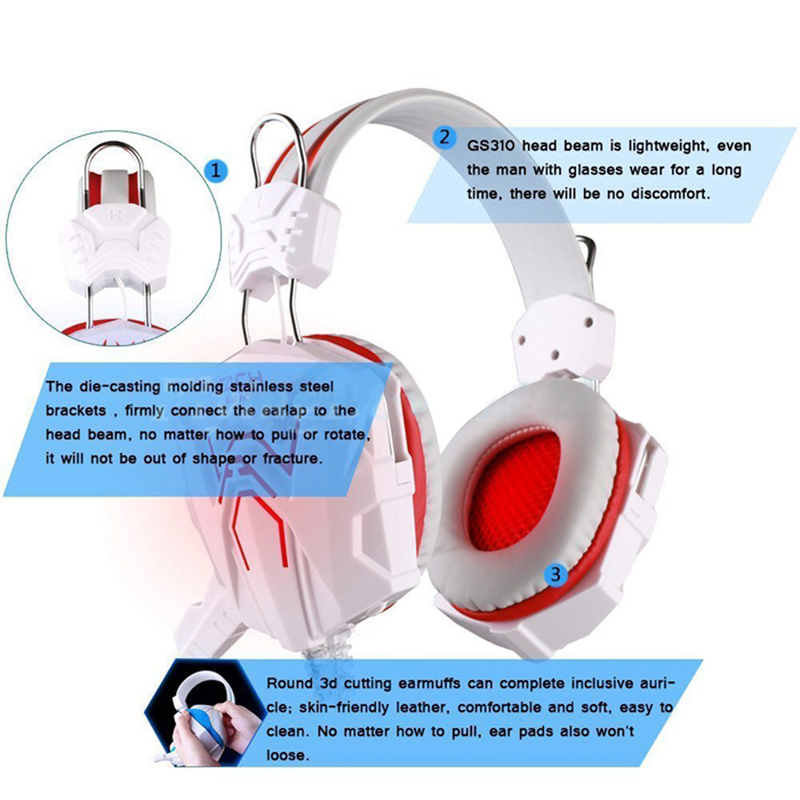 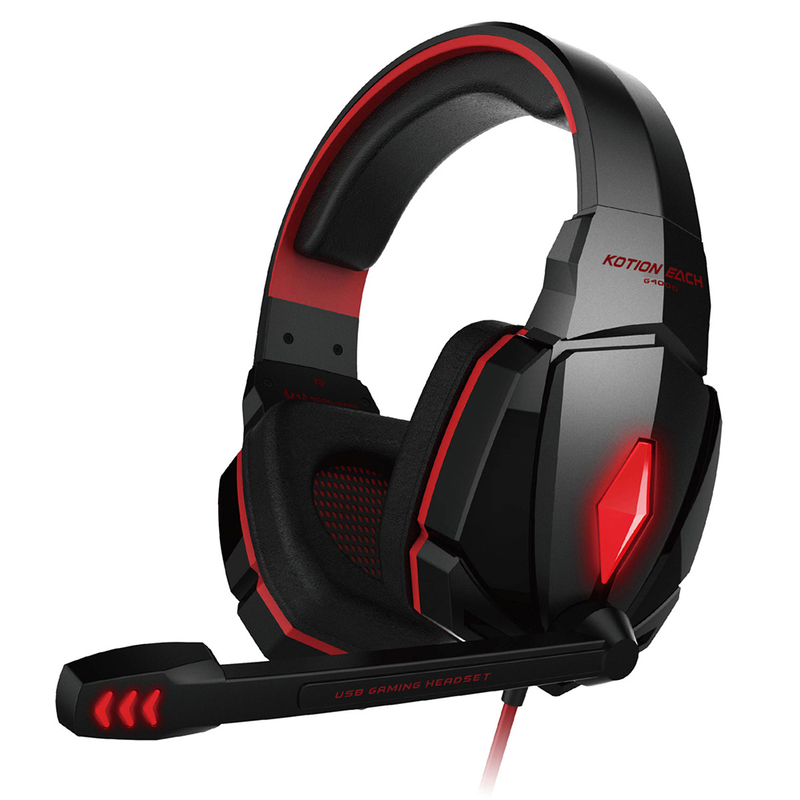 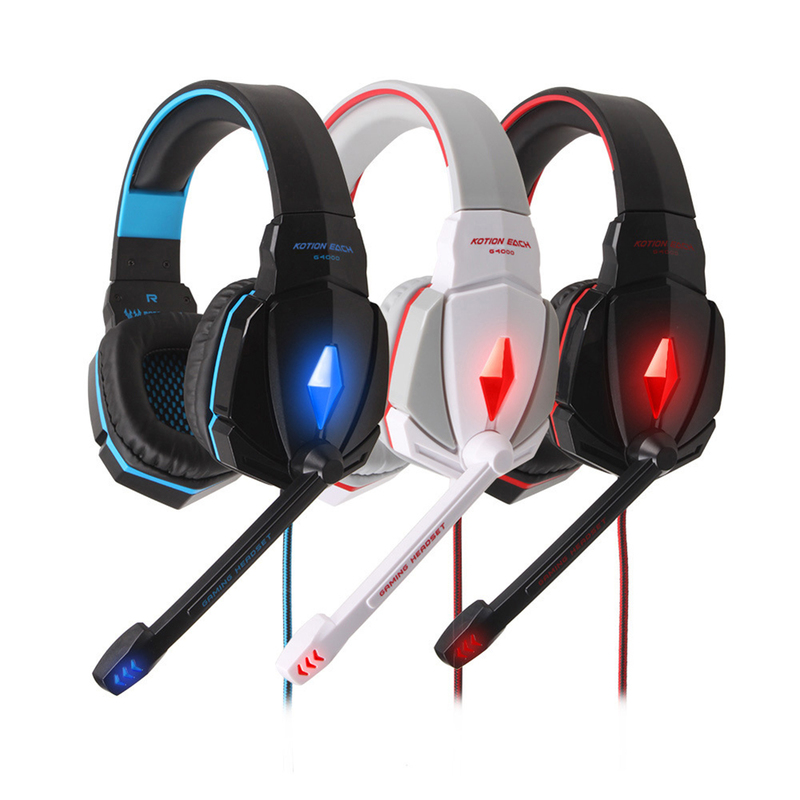 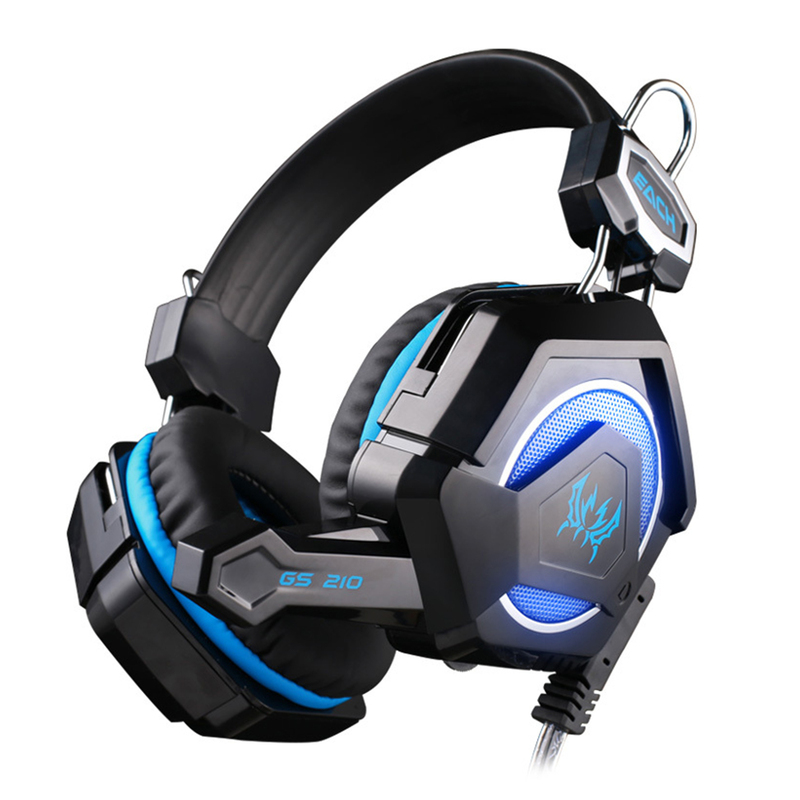 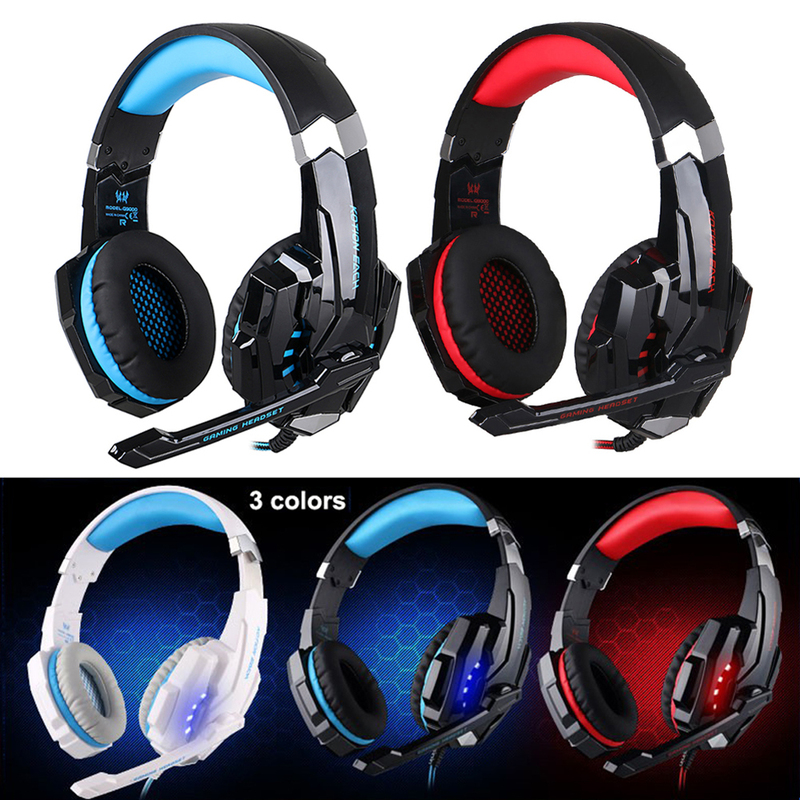 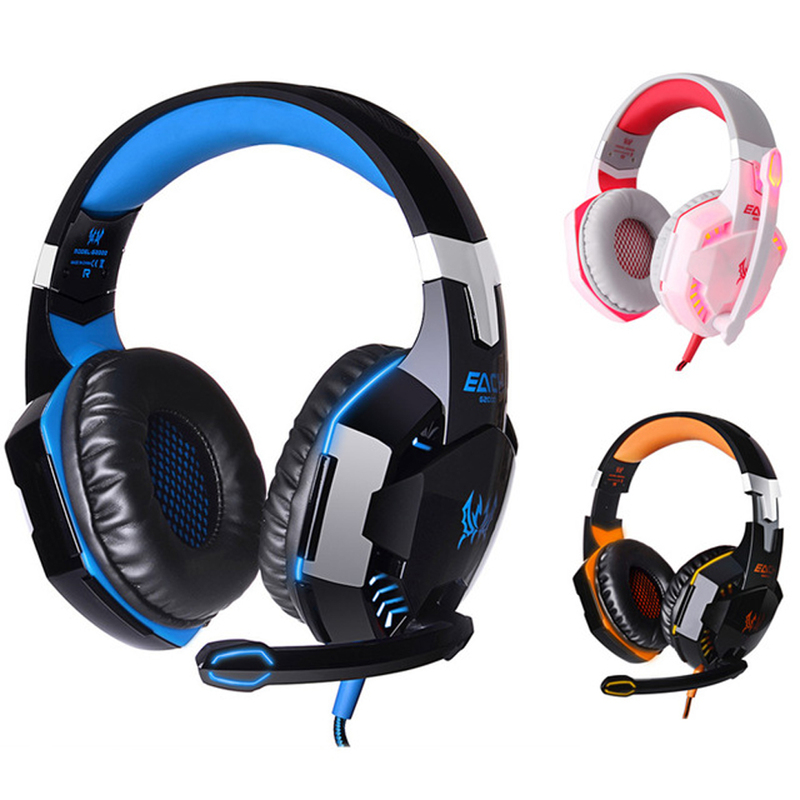 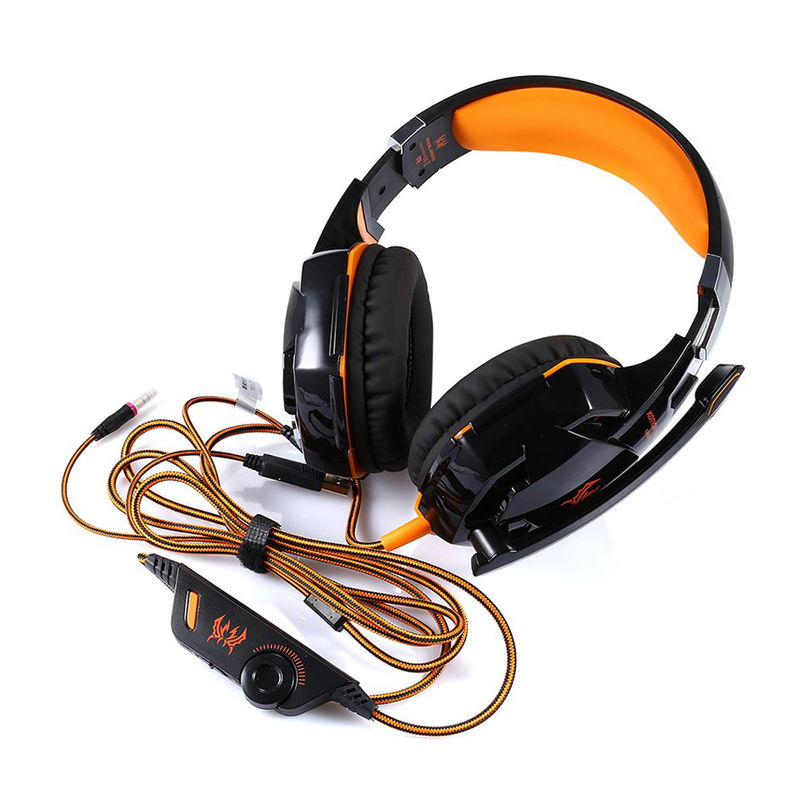 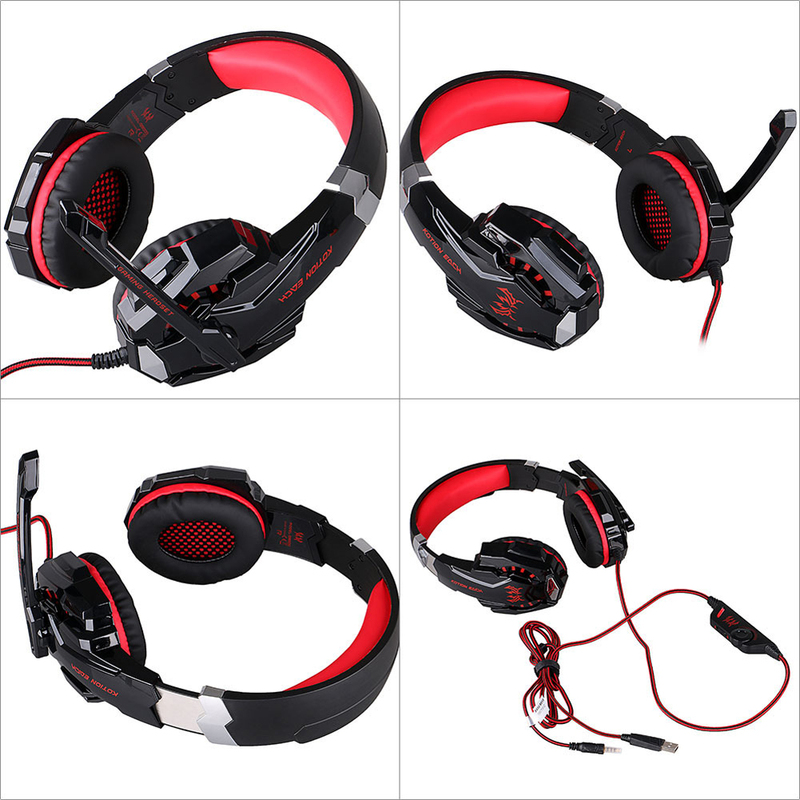 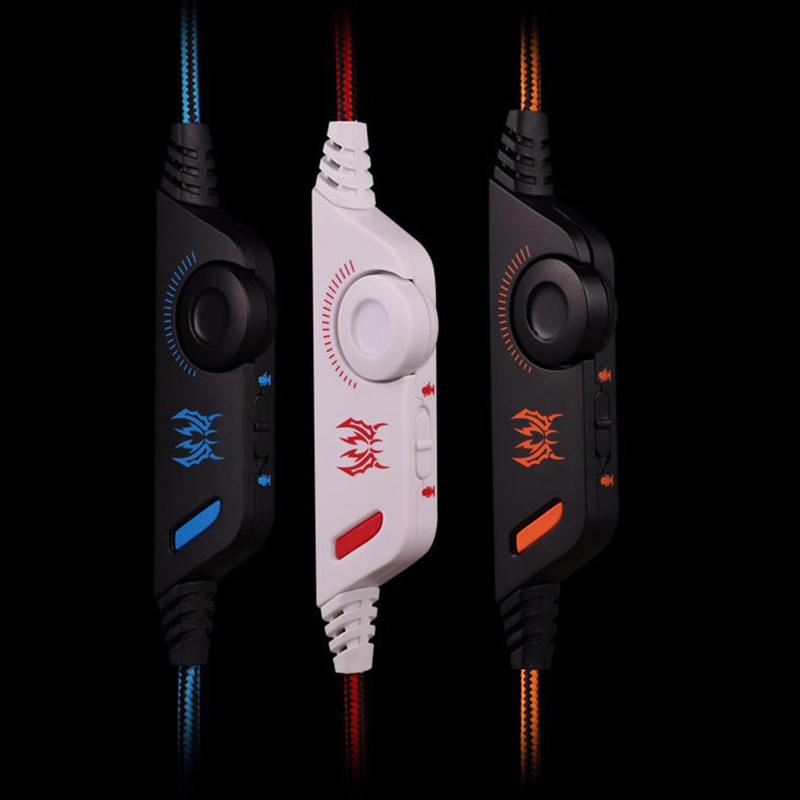 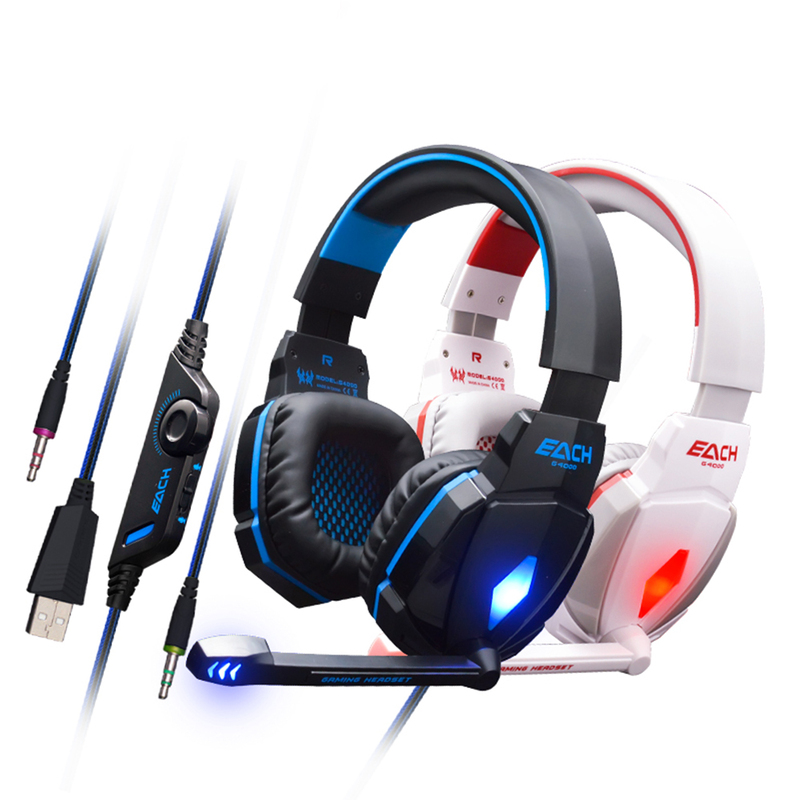 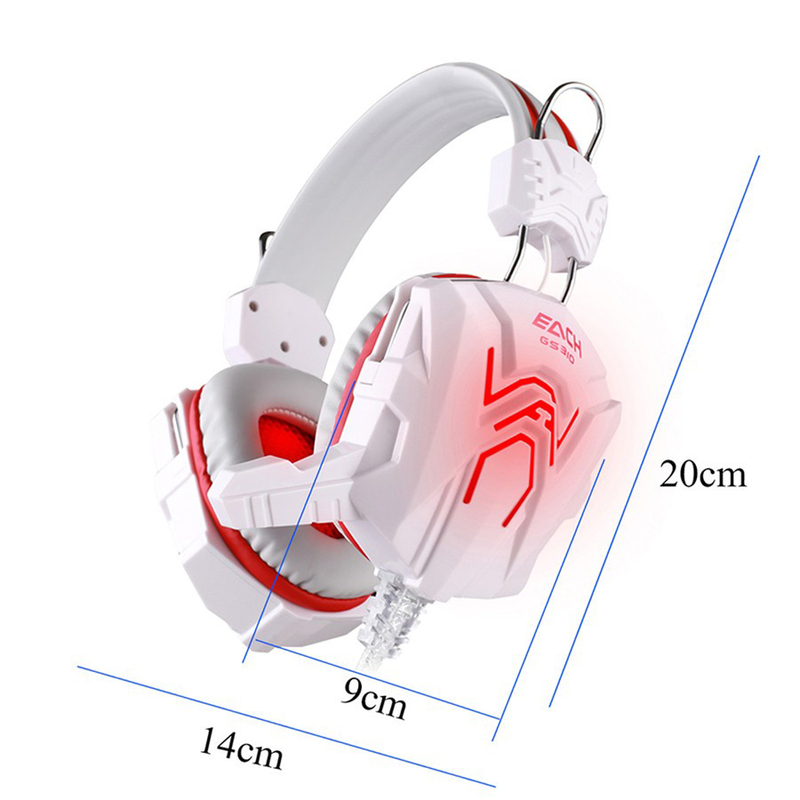 This KOTION EACH G4000 GS310 G2000 G9000 GS210 is a primary kind of gaming headset, high precision 50mm neodymium driver, which brings you vivid sound field, sound clarity, sound shock feeling, high-precision sound source position, capable of various games. 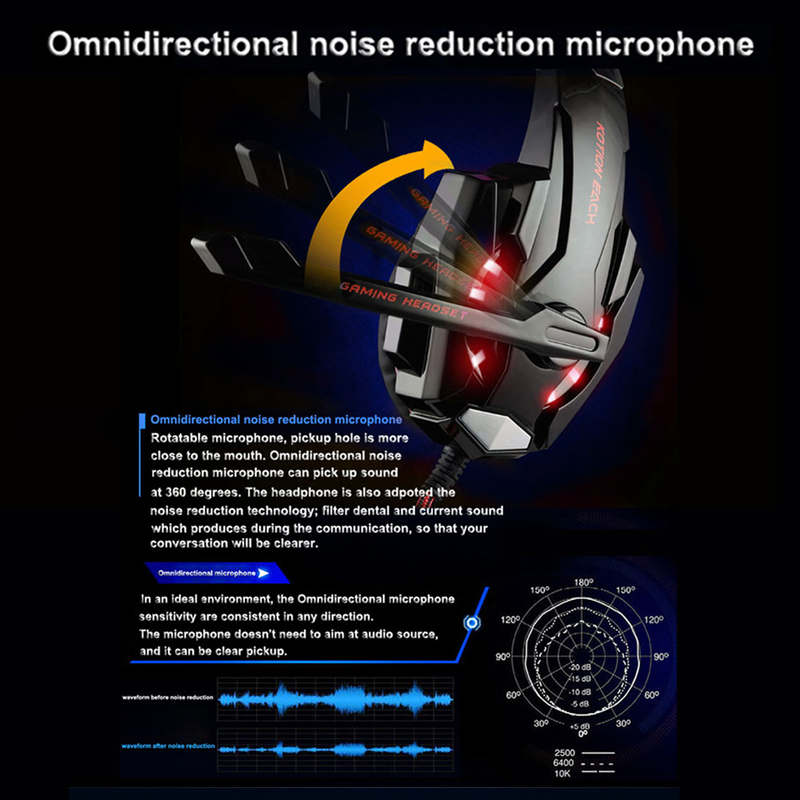 Omnidirectional noise reduction microphone with rotated tube, easy adjust to your mouth for exactly voice pick up. 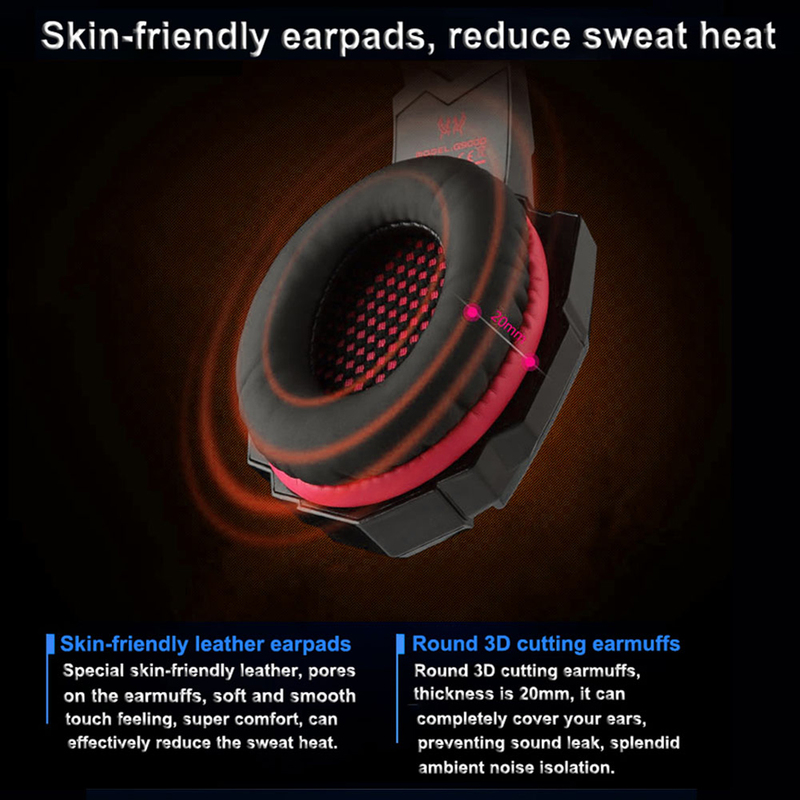 The earmuffs is made of skin-friendly leather material and anti-sweat, splendid ambient noise isolation. 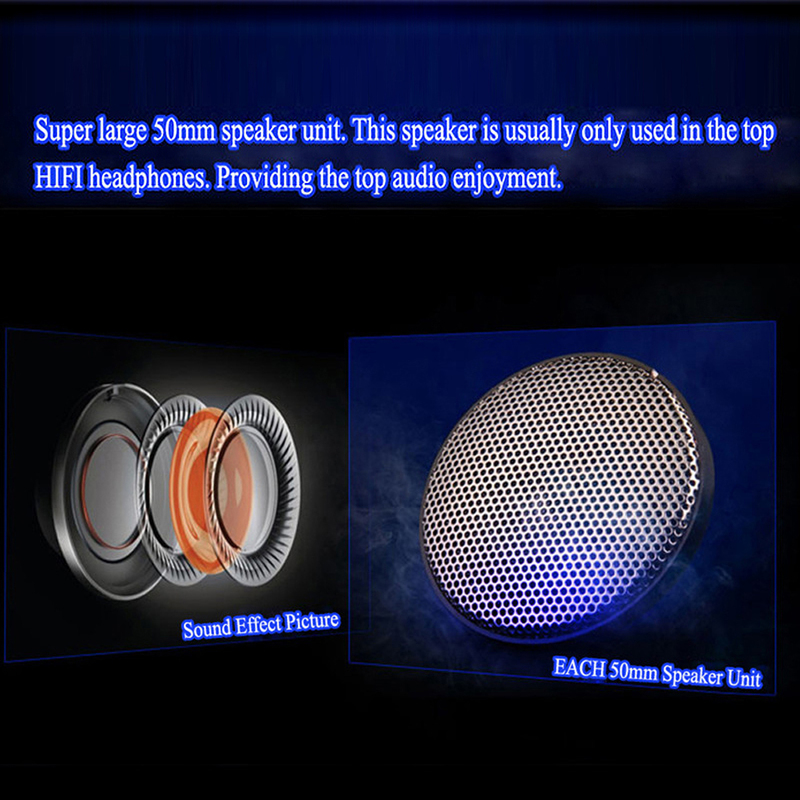 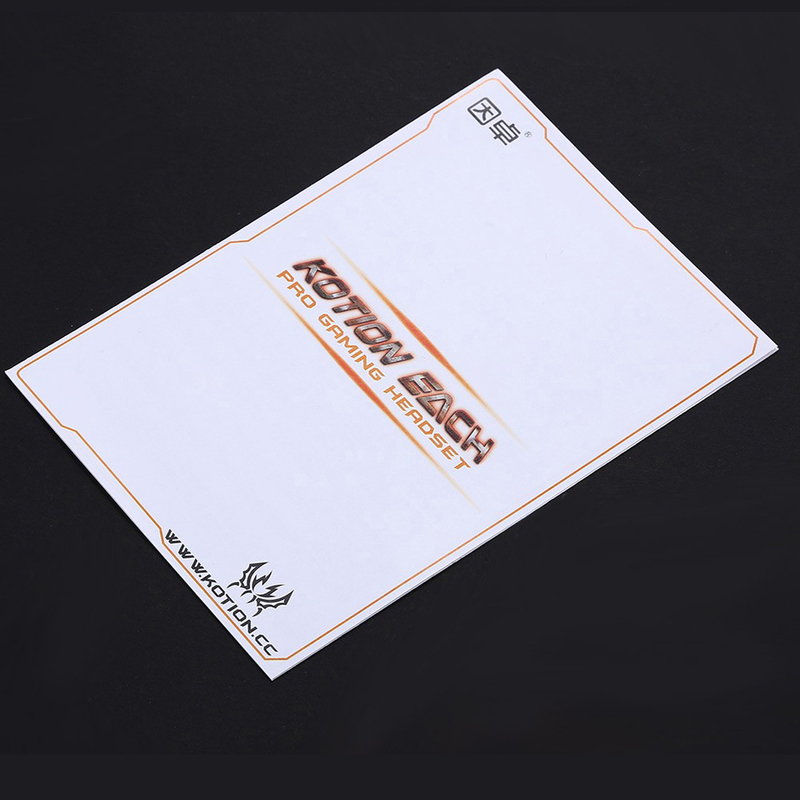 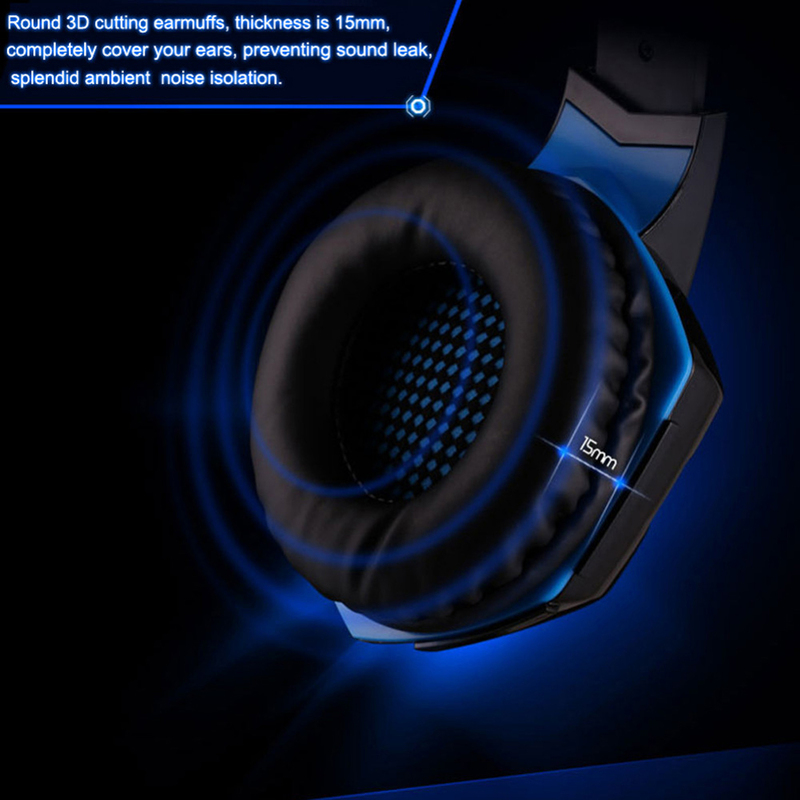 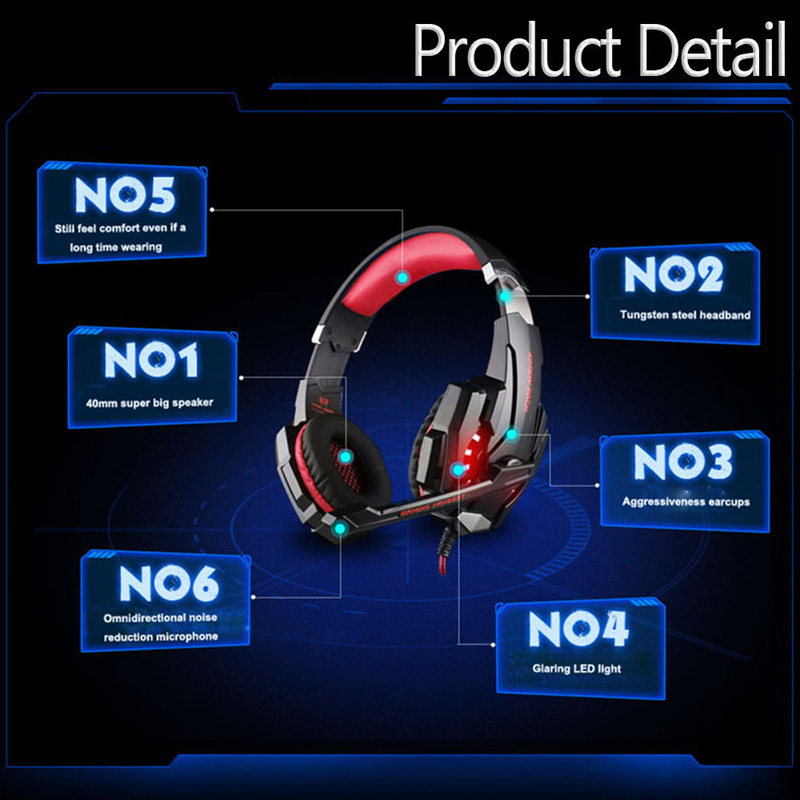 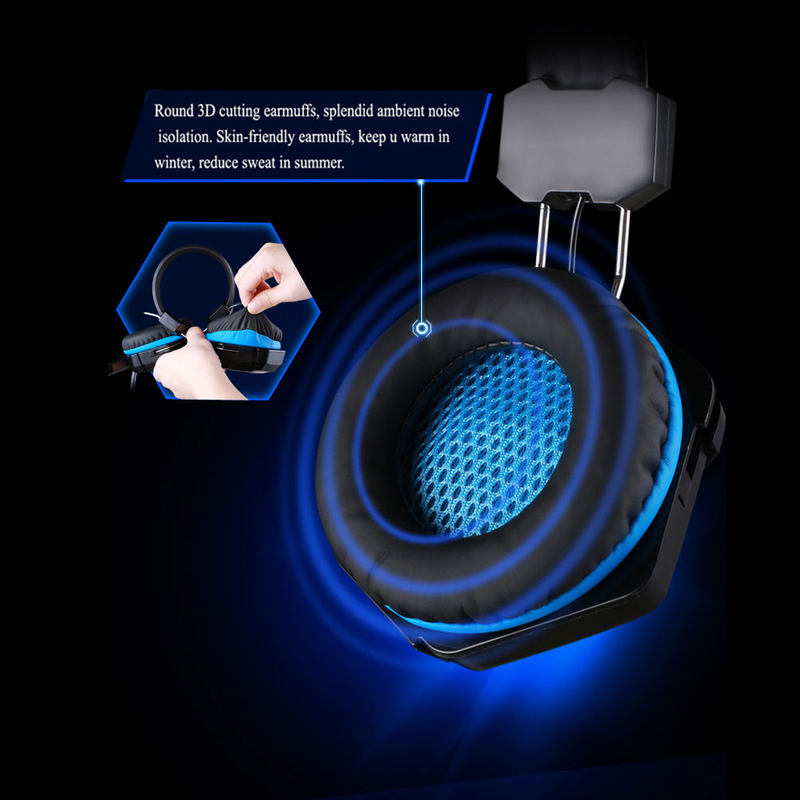 Its super soft over-ear pads with good noise reduction, more comfortable for long time wear, and it is a great headphone for game player, also for enjoying music, afternoon tea relaxation. 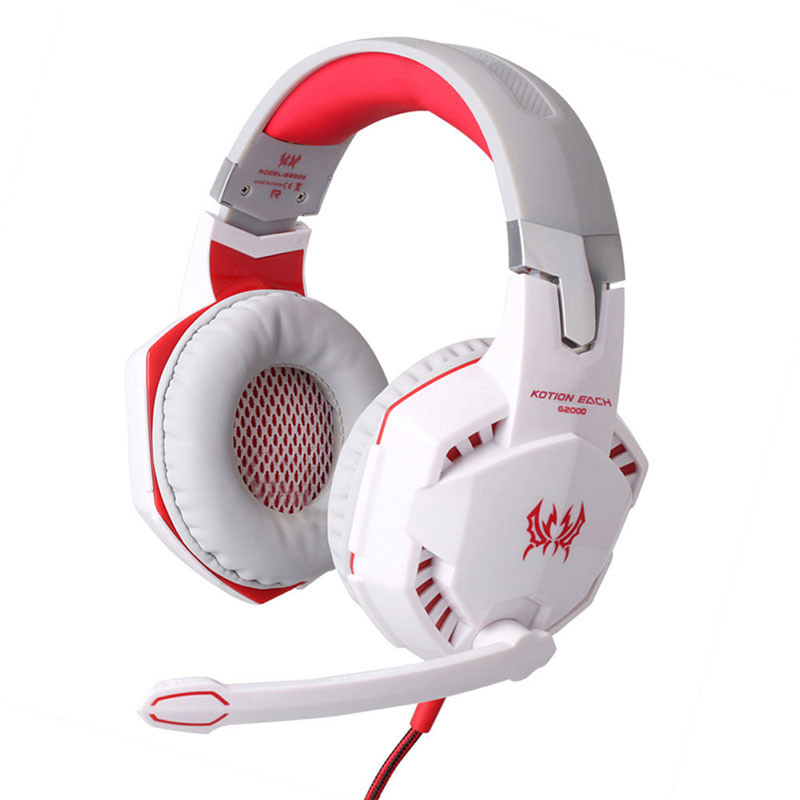 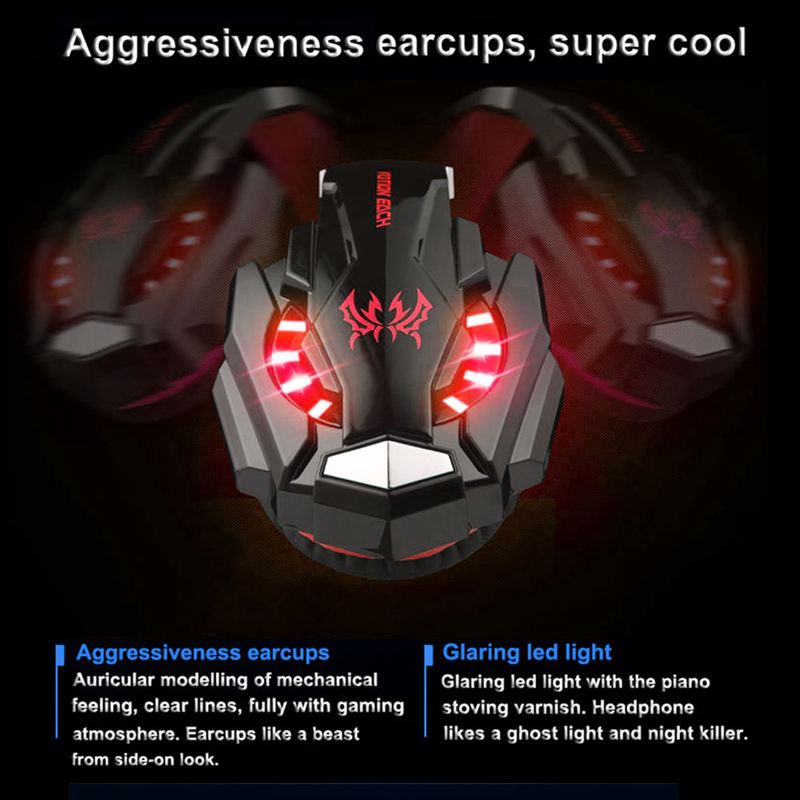 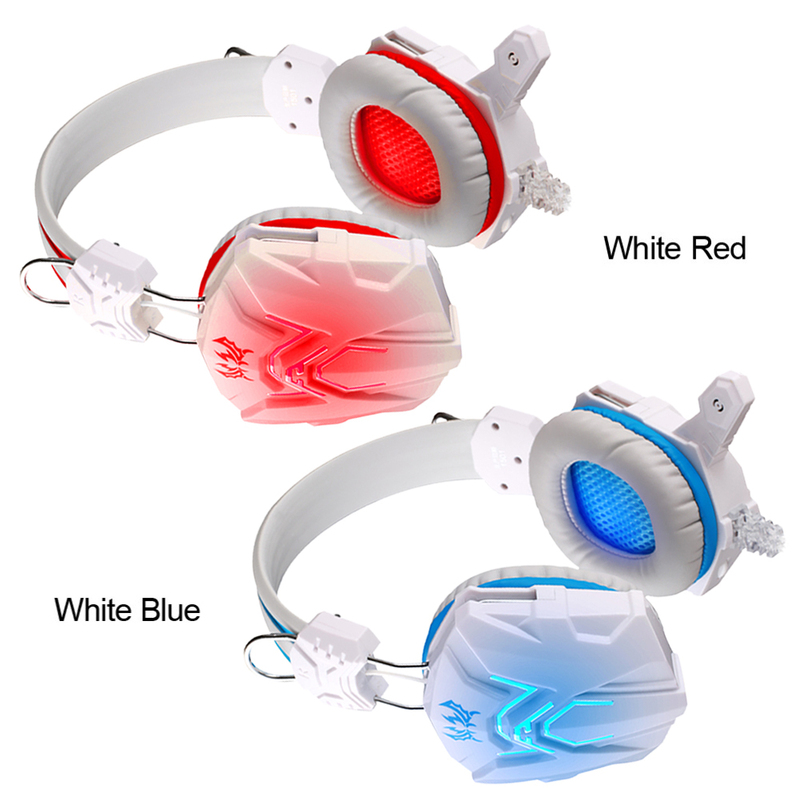 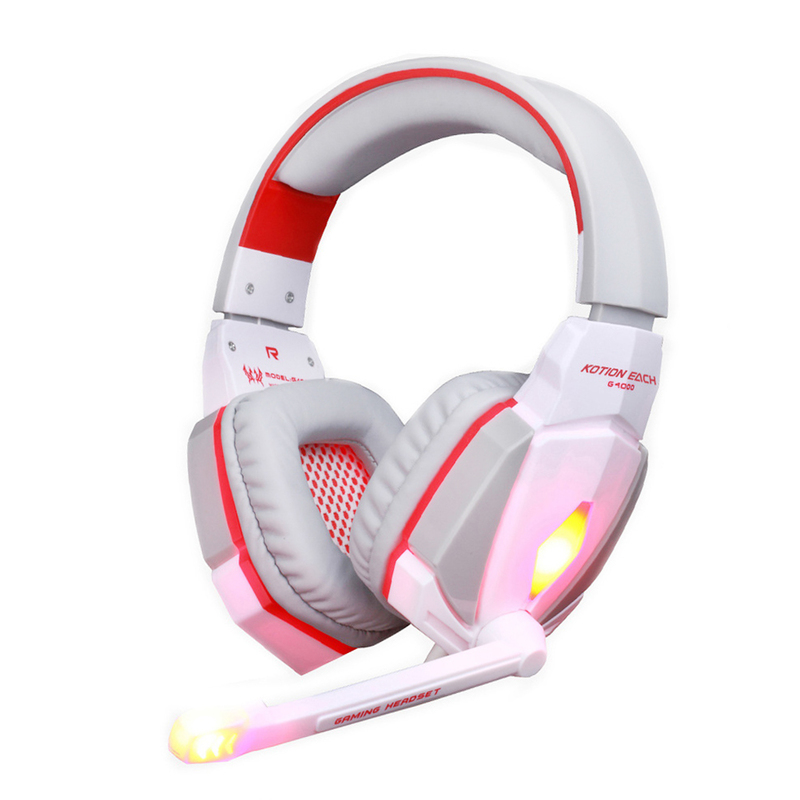 Glaring LED lights are designed on the ear cups & MIC, highlighting the atmosphere of the game & draw others’ attention. 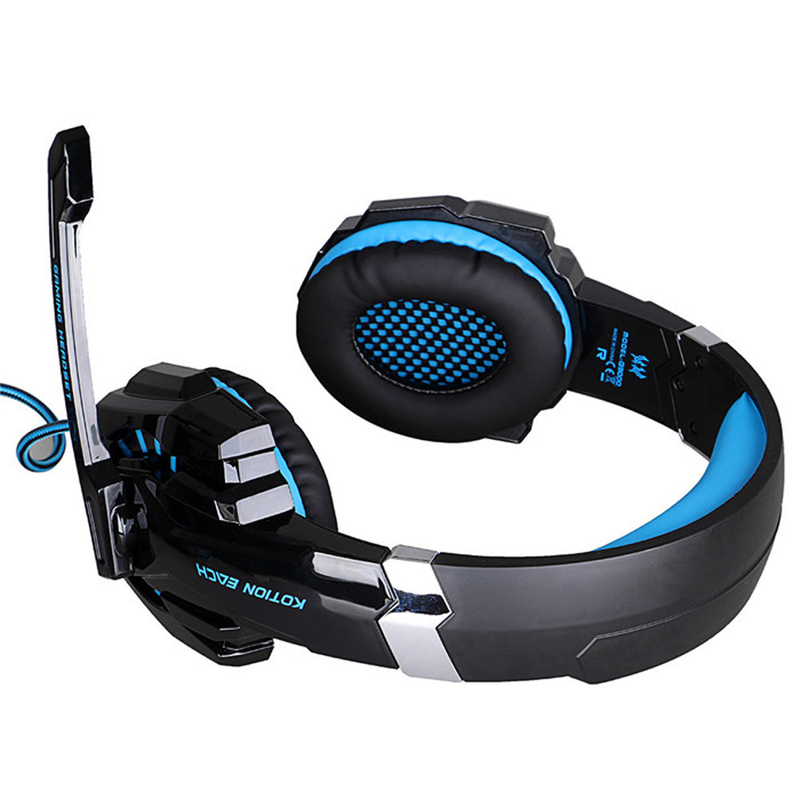 The line is equipped with a knob for volume control, one key Mic mute, more convenient & easy operation when using. 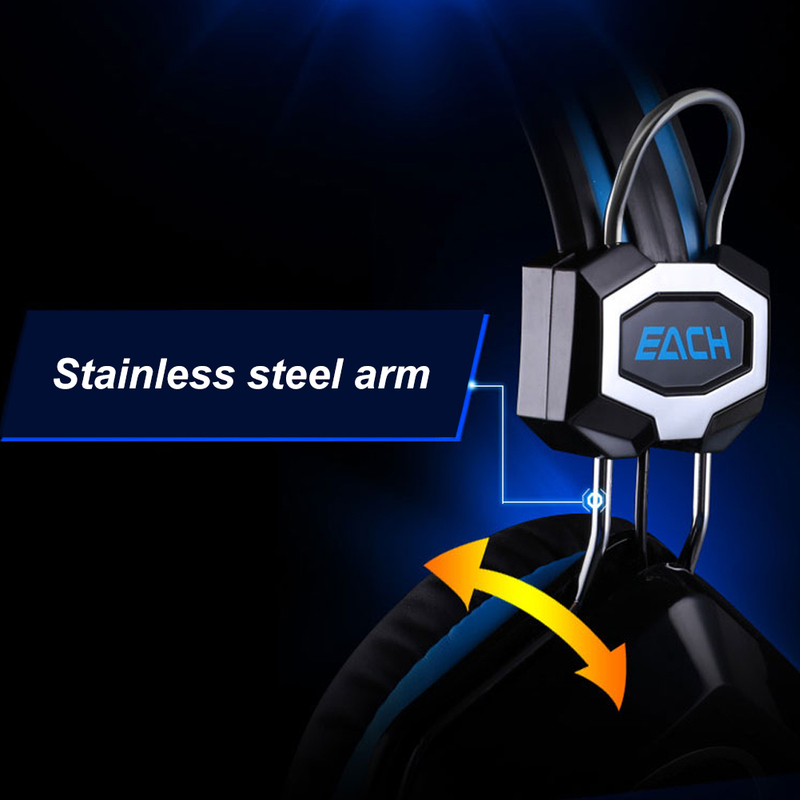 Braided wire with thick copper wire, durable tensile effectively reduce the external resistance; Velcro cable tie, prevent the line twining. 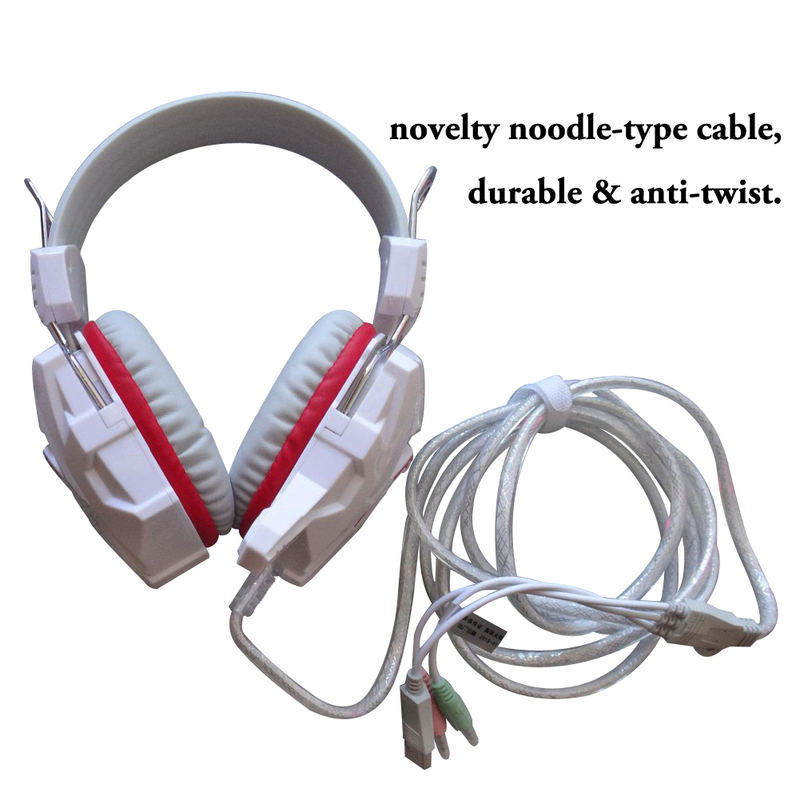 The headband is durable and flexible enough, with soft cushion and length adjustable. 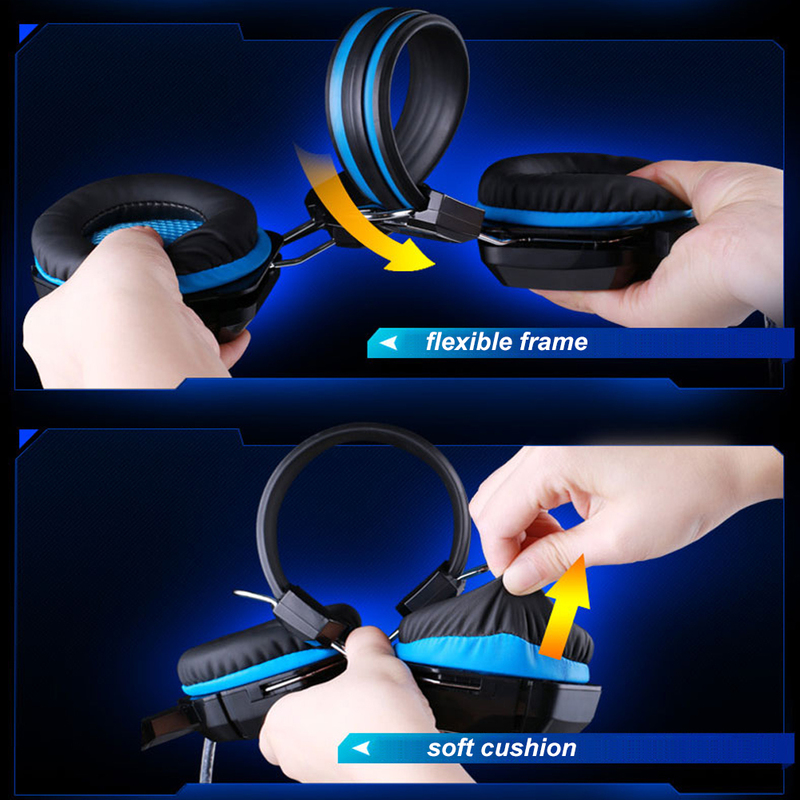 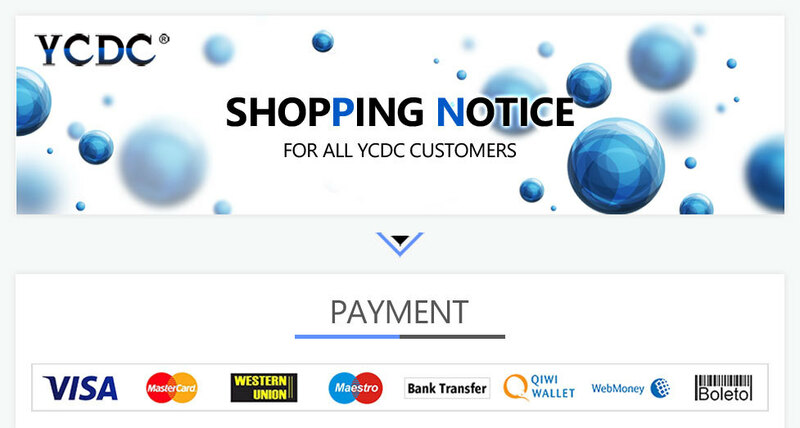 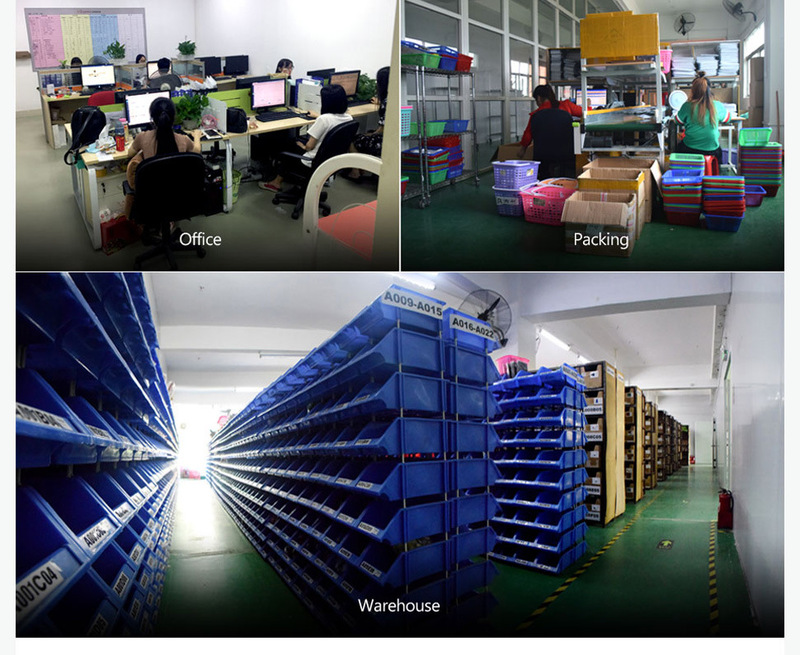 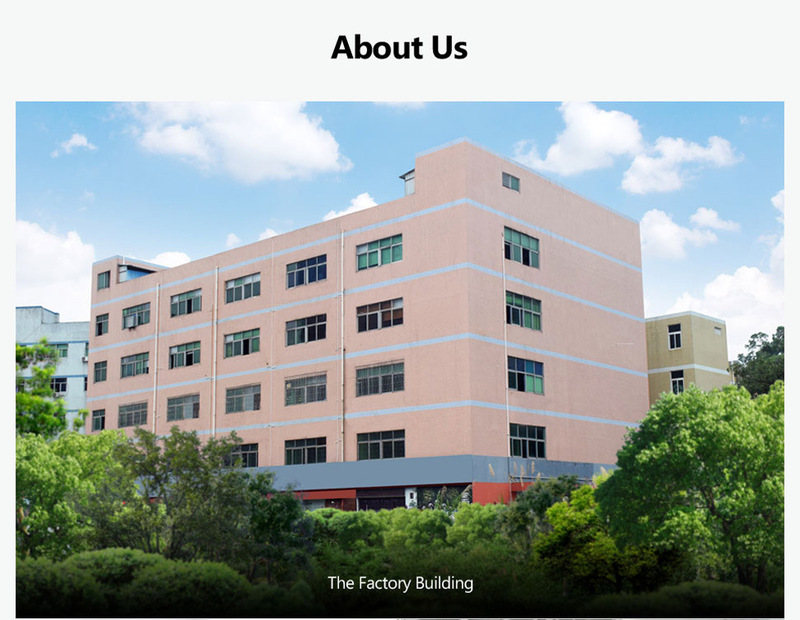 We will test some of our PC devices for function verification, so some original package will be damaged, please understand!